LAS VEGAS, Oct. 17, 2018 — Crowne Plaza® Hotels & Resorts, an IHG® (InterContinental Hotels Group) hotel, introduces the Crowne Plaza Meeting Mentors at IMEX America 2018. 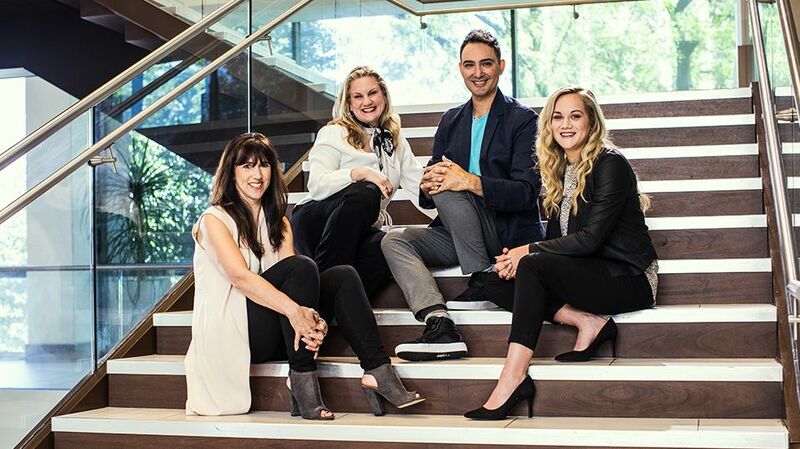 The brand is partnering with a team of four globally recognized industry experts to share their insights and expertise in event strategy, design, technology and social media, elevating the Crowne Plaza meetings offering. Experience the interactive Multichannel News Release here. The Crowne Plaza Meeting Mentors are collaborating with the brand to develop a robust website with videos, blog posts and other content to lend their expertise and provide tips and tricks for meeting planners. To learn more about – and to learn from – the Meeting Mentors, visit crowneplaza.com/meetingmentors. Christy Lamagna, Master Event Strategist: As a strategic meeting planning expert, Christy Lamagna brings more than 26 years of industry experience to her latest role with Crowne Plaza. 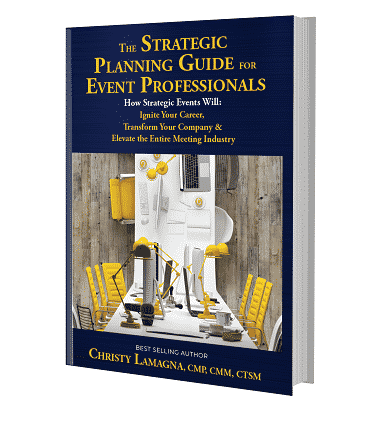 Lamagna is the founder of Strategic Meetings & Events. Michaela Alexis, Personal Branding Coach: Michaela Alexis is a content superstar on social media. 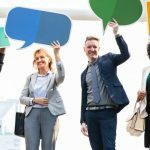 She advises professionals and companies on how they can broaden their reach by making genuine connections, and says “being yourself” is always the best-selling point. Julian Lwin, Experiential Design Director: Julian Lwin is the Owner and Creative Director of the award-winning Lwin Design Studio. With an eye for style and design, Lwin and his team produce alternative and imaginative projects in multi-dimensional spaces to create unique and memorable events. Each Crowne Plaza hotel has a dedicated, onsite Meetings Director, specially trained by Meeting Professionals International (MPI) to ensure all meetings and events run smoothly from start to finish. Additionally, flexible meeting spaces, upscale food and beverage offerings and advanced technology ensure that all meetings at Crowne Plaza are more than a meeting. Crowne Plaza Hotels & Resorts has more than 2,900 meeting rooms and 5.6 million square feet of meeting space worldwide. And the brand is backed by the strength of IHG, which has meeting space in more cities around the world than any other hotel company. IHG’s strong global presence provides more hotel locations with meeting space than any other hotel company. To learn more about the Crowne Plaza Meeting Mentors program, or to access helpful meeting planning resources, visit crowneplaza.com/meetingmentors. Part of the IHG® global portfolio, the Crowne Plaza® Hotels & Resorts brand has more than 410 locations around the world. The Crowne Plaza brand is dedicated to making business travel work for the modern business traveler. IHG is investing in the brand with the Crowne Plaza Accelerate plan which is a multi-year $200 million brand transformation in the Americas region. The plan ensures that the Crowne Plaza brand will remain at the forefront of the new way of doing business with design-led, culturally-relevant and technology-enabled solutions. For more information about the Crowne Plaza Hotels & Resorts brand, visit www.crowneplaza.com. Connect with us on Twitter: www.twitter.com/crowneplaza, Facebook: www.Facebook.com/crowneplaza and Instagram: www.instagram.com/crowneplaza. IHG® (InterContinental Hotels Group) [LON:IHG,NYSE: IHG (ADRs)] is a global organisation with a broad portfolio of hotel brands, including Regent Hotels & Resorts, InterContinental® Hotels & Resorts, Kimpton® Hotels & Restaurants, Hotel Indigo®, EVEN® Hotels, HUALUXE® Hotels and Resorts, Crowne Plaza® Hotels & Resorts, voco™ Hotels, Holiday Inn®, Holiday Inn Express®, Holiday Inn Club Vacations®, Holiday Inn Resort®, avid™ hotels, Staybridge Suites® and Candlewood Suites®.